I have been working in the photography and digital imaging business for over 27 years and have gathered a wealth of experience and knowledge in that time. After studying at college, I served my apprenticeship in darkrooms, working for IPC Media, and by assisting established London advertising and editorial photographers for the Association Of Photographers. I worked in the film industry at Elstree Film Studios, assisting stills photographers on set, on some of the industries best loved movies including Superman and Raiders of The Lost Ark. I then moved into photographic exhibition printing, working in a darkroom as black and white printer, printing for London photographic exhibitions and London theatre displays at Belmont Photography. As a qualified freelance photographer I worked for many design houses in London's Shoreditch. I was one of the staff photographers at London Metropolitan University for 7 years, photographing VIP's, events and marketing images for brochures, the prospectus and newsletters. At this time we were one of the first institutions to embrace digital cameras and digital imaging software over 20 years ago. Along side this I ran my own Lifestyle and Portrait photography business for fifteen years, working in central London. I am a qualified teacher (Post Grad. in Ed. LLS), and have been designing and delivering photography courses for over 18 years, along side my photographic practice. I have taught certificated courses such as, City and Guilds, NCFE, 'A' Level and BTEC courses in Further and Higher Education. 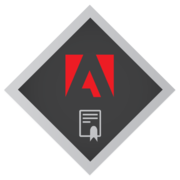 I am a qualified *Abode Trainer, certified by Adobe to deliver tools and solutions to individuals and institutions in the education space. For the last six years I have focused on my company, Learn Digital Photo, offering Beginners, Intermediate, Advanced courses in digital photography and digital imaging for pleasure and leisure. I design and deliver bespoke workshops and training programmes for private and corporate clients, on using digital photography and digital imaging in their businesses for marketing, websites, PR and communications. I live in St. Albans and run my evening classes in and round the area.